Linnview Crossing located at the intersection of Linnville Road and South Second Street in Heath is the perfect setting for building your new home. This development is amongst the most affordable developments in the area while offering a peaceful country setting with all the conveniences of living in the city and Heath schools. Linnview Crossing will contain single family homes built exclusively by Stone Works Parters, a local builder/developer that has condominium communities in Heath, Mount Vernon, Zanesville, and Buckeye Lake. 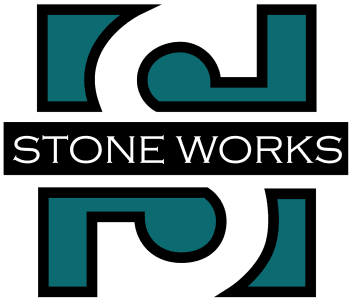 With Stone Works Partners, you will be working with a team of professionals that have the experience to help realize your dreams backed up by a new home warranty you can trust. If it’s affordable and quality homes you are looking for, give us a call today to set up an appointment to visit Linnview Crossing. The Allegheny has a sleek, contemporary style complete with an open floor plan. This is a sensible home that optimizes living space. Live comfortably in two bedrooms and two bathrooms, separated for privacy. Enjoy the sizeable living room perfect for entertaining. Access a private covered patio with outdoor living space. The home is packed with an abundance of standard features while offering plenty of options for customization. Craving more space, we have an optional second story with two bedrooms, full bath, and spacious loft. The Allegheny is designed to enhance the way you live. The Cascade is a warm home energized by abundant living space, contemporary amenities, and storage space. Thanks to its flexibility and elegance, the Cascade is the perfect fit for all personalities and lifestyles. Welcome your guests in grand fashion on the oversized the front porch. Enjoy your lavish owner's suite with a custom walk-in spa shower and double sinks, the sizable guest suite and den with endless possibilities. Savor those family get togethers in your generous living room. Appreciate the covered patio and outdoor living space. Craving more space, we have an optional second story with two bedrooms, full bath, and spacious loft. The Cascade was built to please any lifestyle. The Sierra's open and airy concept is the central point of this unique home. Bringing to life the living room with the warmth and intimacy of the hearth room and spacious kitchen. Relax in your grand owner's suite with a walk-in closet and walk-in spa shower. Enjoy your guest suite separated for privacy. Appreciate the den with endless possibilities. The covered patio and outdoor living space are the perfect place to wind down. Craving more space, we have an optional second story with two bedrooms, full bath, and spacious loft. The Sierra's exceptional attention to detail makes this home stand above the rest. Optional - Basement & Bonus Room additional 449 s.f. Optional - Basement & Bonus Room additional 465 s.f. Optional - Basement & Bonus Room additional 458 s.f.